A note from the editors: In Understanding Context , Andrew Hinton goes deep on one of the web’s most used—and least understood—terms. We’re pleased to bring you this excerpt from Chapter 2 of Understanding Context . Buy the book from O’Reilly using the code BWORM and save 40 percent on the print version or 50 percent on the ebook. A big reason why digital networks became so ubiquitous was the advent of the World Wide Web. The Web became the petri dish in which the culture of “being digital” explosively grew. The Web meant that we didn’t have to worry about what server we were on or to which directories we had access. It meant that we could just make links and think about structure later. The principle driving the original development of the Web was to add a protocol (HTTP) to the Internet that facilitated open sharing. In the phrasing of its creators—in the Web’s founding document—its purpose was “to link and access information of various kinds as a web of nodes in which the user can browse at will.”1 When you give people the capability to create environments with more ease and flexibility than before, they will use it, even beyond its intended boundaries. The Web has now become something that has far outstripped what we see in dedicated “web browsers” alone. The characteristics of hyperlinks that once were only about linking one metaphorical “page” to another are now fueling all manner of APIs for easy, fluid syndication and mashing-up of information from many different sources. The spirit of the hyperlink means everything can be connected out of context to everything else. We can link enterprise resource management platforms with loading docks, map software with automobiles, and radio frequency ID (RFID) chips injected into pet dogs that include the dog’s records in licensing databases. Even our sneakers can broadcast on a global network how far we run, for anyone to see. The Web is now more a property of human civilization than a platform. It is infrastructure that we treat as if it were nature, like “shipping” or “irrigation.” HTTP could be retired as a network layer tomorrow, but from now on, people will always demand the ability to link to anything they please. The disorienting lack of pre-Web context one faces on YouTube is not confined to videos. We’re spending more and more of our lives inhabiting these places, whether it’s Facebook or a corporate intranet. If we measure reality by where meaningful human activity takes place, these places are not merely “virtual” anymore. They are now part of our public infrastructure. The contextual untethering the Web brought to computer networks is now leaking out into our physical surroundings. Structures we assume have stable meanings from day to day are shot through with invisible connections and actions that change those meanings in ways we often don’t understand. We live among active digital objects that adjust our room temperature, run our economies, decide on our financial fitness, route our trains and car traffic, and advise us where we should eat and sleep. As Rob Kitchin and Martin Dodge explain in Code/Space: Software and Everyday Life (MIT Press), “Software is being embedded in material objects, imbuing them with an awareness of their environment, and the calculative capacities to conduct their own work in the world with only intermittent human oversight.”3 These digital agents introduce rules of cause-and-effect into our environment that happen beyond our immediate perception, like a lever that switches far-away railroad tracks. Or, even more puzzling, we might pull a lever that does something different each time, based on some algorithm; or we watch as the algorithm pulls the lever itself, based on its own mysterious motivations. At the center of all this disruption is how we understand basic elements of our environment: What place am I in? What objects does it contain, and how do they work? Who am I, and who can see me, and what I am doing? What used to be clear is now less so. Some of the infrastructure we take for granted now was almost unimaginable only a decade ago. And perhaps no digital “place” is more ubiquitous in more people’s lives than Facebook. With billions of registered users, it’s become the “telephone network” of social interaction online. Back in 2007, Facebook launched a service it called Beacon, which tracked what users purchased on participating non-Facebook sites, and published that information to the recently introduced News Feeds seen by their Facebook “friends.” It took many people by surprise, and sparked a major controversy regarding online privacy. Facebook is an especially powerful example of context disruption, partly because of how it has shape-shifted the sort of place it is since it began as a closed network for Harvard students alone. In fact, much of Facebook’s architectural foundation was structured based on the assumption that a user’s network would be limited to people she had already met or could easily meet on her campus. The intrinsic cultural structures of one’s college provided natural boundaries that Facebook re-created in code form. Over time, Facebook grew rapidly to include other schools, then businesses, and then finally it was opened to the entire Web in 2006. Yet, it wasn’t until much later that it introduced any way of structuring one’s contacts into groups beyond the single bucket of “Friends,” as if everyone you could connect to was the equivalent of someone you met during freshman orientation. So, for users who had started their Facebook memberships back when their Friends included only their classmates, the sudden shift in context was often disorienting. With pictures of college parties still hanging in their galleries—meant for a social context of peers that would understand them—they were suddenly getting friend invitations from coworkers and family members. Facebook had obliterated the cultural boundaries that had normally kept these facets of one’s personality and personal life comfortably separate. Before Beacon, the introduction of the News Feed had already caused a lot of concern when users realized it was tracking what they did within Facebook itself and publishing an ongoing status report of those activities to their friends. Actions and changes that had once been quiet adjustments to their profile had been turned into News, published to everyone they knew. Take, for instance, changes in relationship status. Breaking up with a partner is an intimate, personal event that one might prefer to treat with some subtlety and care. Facebook’s structure made it seem users were changing relationship status within a particular place, separate from other places. Consequently, it was horrifying to discover that changing the setting in a drop-down list in one’s personal profile was simultaneously announcing it to everyone he knew. Facebook broke the expectations of cause-and-effect that people bring to their environment. Figure 2.1: The small Beacon opt-in message that would appear in the lower corner of the screen (from MoveOn.org). 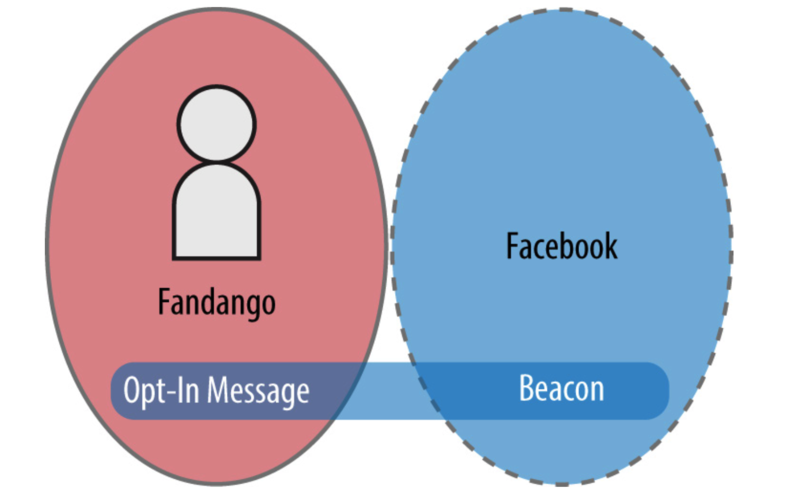 Figure 2.2: The user perceives the Fandango site as a separate environmental place and might not notice a small, ambient opt-in message. Facebook has notoriously and publicly struggled with these issues of place confusion since its founding. But what is true of Facebook is just as true of nearly every networked environment. Although Beacon was the metaphorical equivalent of having networked cameras and data feeds for your every action available for public consumption, that breakdown of context is no longer merely metaphorical. As our every action and purchase is increasingly picked up by sensors, cameras, brand-loyalty databases, and cloud-connected smartphones, Beacon’s misstep seems almost primitive in comparison. 3. Kitchin, Rob, and Martin Dodge. Code/Space: Software and Everyday Life. Cambridge, MA: MIT Press, 2011: 47. 4. Martin, Kirsten E. “Facebook (A): Beacon and Privacy,” Business Roundtable: Institute for Corporate Ethics. 5. Cohen, David. “Ninth U.S. Circuit Court Of Appeals Upholds Facebook Beacon Class-Action Settlement,” February 27, 2013. Andrew Hinton is a senior consultant at The Understanding Group and the author of Understanding Context from O'Reilly Media. A frequent conference speaker and intermittent online-writer, Andrew identifies as an information architect—the sort that makes habitable, delightful environments out of information. He lives in Atlanta, Georgia, where he considers the humidity an acceptable price to pay for easy access to collards, grits, and decent BBQ. Great perspective and insight Andrew, thanks! A great reminder that we need to to consider the assumptions a user will make about the digital environment they are in. And that those assumptions will come from past experiences, context, and what users know about similar physical spaces.